Lyme disease is a parasitic spirochete bacteria (cousin to syphilis) when treated with antibiotics early, symptoms will go away in some people, however, the disease like herpes (although it is a virus) itself never goes away. 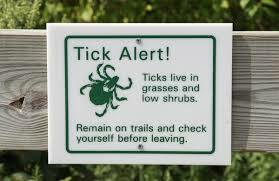 The likelihood for remission to occur is great but often goes undetected as Lyme disease. Which presents its own set of issues I will discuss later. Erythema migrans rash (the bull’s-eye rash typical for Lyme disease occurs in 40-60% of people). I developed the rash two out of the three times I was bitten and contracted Lyme disease. The third time went untreated for years as the tick was embedded in my head, burrowed deep into my skull and left a scab the size of slightly smaller than a dime. After a year or more it finally popped out, bled and scabbed over again. Under a microscope, it was a tick. 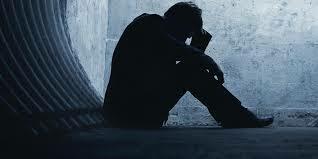 Fatigue – so tired all you want to do is sleep, yet when you wake up you feel as though you never slept. Headache (I never experienced any headaches initially. Now years later, I have them only while being treated with antibiotics and they are excruciating). If Lyme disease is not caught early, the chance for a full recovery decreases, and depending on how long the disease has gone untreated or treated incorrectly ( not long enough, incorrect antibiotics, etc.) the disease becomes chronic any chance of full remission is nominal. The use of IV antibiotics and other homeopathic medications will greatly increase the opportunity for remission. Currently, there is no cure. Air hunger (a sensation in which you feel as though you can’t breathe. It mainly occurs while asleep, when you attempt to wake, a person feels like they cannot or are unable to wake up.). Difficult to type when fingers touch the keypad, fingers transpose letters words, forgot how to type. Headaches which often feel more like pressure, head in a vice, top of head tender to the touch along the lymphatic area where the two segments of brain join, pain is often severe and worse than migraine, in that it feels like your head is going to pop from pressure from the base of the neck to the head. The neck is also very stiff and feels like you are bring choked. Seizures – non-epileptic seizures; Lyme induced seizures (MDs who are not Lyme Literate will try to call them fake or pseudo-seizures. This is not the case. They are real seizures. The difference between these and Epileptic seizures is there is no damage to the Mylan sheath in the brain.). Don’t allow a doctor to EVER tell you they are fake or pseudo-seizures they are not. A Gram-negative bacterial genus Bartonella now comprises roughly two dozen identified species, about half of which are known to infect humans. The use of antibiotics and homeopathic medications greatly increase the opportunity for recovery. Symptoms often mimic Lyme. Lumps in muscles that resemble Kelly-humps, hill’s and valley’s, or washboard like feel to muscles primarily in the legs that begin in the calves but as the disease worsens also in the thighs. Very painful and deep the pattern is muscle then space often to the bone. The muscle is very painful. 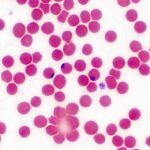 Babesiosis or Babesia are malaria-like protozoans that parasitize and reproduce within mammalian red blood cells. They have a complex life cycle which involve several different stages and physical forms maintained in nature primarily via the exchange between Ixodes ticks and various mammals. Clinically, Babesiosis appears to have a wide spectrum of disease severity. Most patients experience a viral-like illness that can last weeks to months or longer. Some patients can be asymptomatic. In patients with a complicated condition, however – such as an underlying immunosuppression – the disease can be severe and potentially fatal such as B. divergens and B. microti, which can more virulent than others. B. microti especially in immunosuppressed individuals. Babesiosis also is often so mild it is not noticed yet can be life-threatening to people with no spleen, the elderly, and people with weakened immune systems. Complications include very low blood pressure, liver problems, severe hemolytic anemia (a breakdown of red blood cells), and kidney failure. Difficult to diagnose via blood testing because it is only detected during the first two weeks of infection.Babesiosis is typically treated with a combination of antimalarial drugs and antibiotics. Relapses occur after treatment and must be retreated. Chest pain, especially after doing any form of physical activity. The pain can be severe and feel like a severe dull ache to where knives are being thrust into your chest deep into the cavity into the back on the chest. Bacterial infection caused by ticks and often is found in ticks that carry Lyme disease.The updated classification scheme, implemented over the last several years, now places these bacteria in the family Anaplasmataceae, which currently consists of six genera, including Anaplasma and Ehrlichia. These two genera comprise all tick-transmitted pathogens that infect cellular elements of peripheral blood, such as erythrocytes (red blood cells), leukocytes (white blood cells) and platelets. No treatment studies have been performed for Ehrlichiosis, but empiric evidence indicates that Tetracyclines are highly effective against both E. chaffeensis and E. ewingii. Rifampin is an alternative antibiotic choice.